"Ask her to wait a moment - I am almost done. " 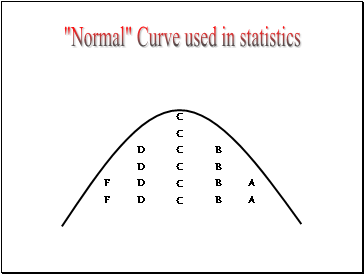 while working, when informed that his wife is dying. 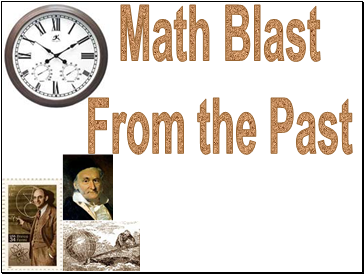 Gauss's personal life was overshadowed by the early death of his first wife, Johanna Osthoff, in 1809, soon followed by the death of one child, Louis. 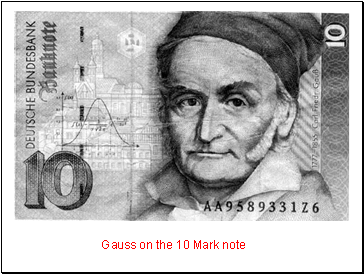 Gauss plunged into a depression from which he never fully recovered. He married again, to Johanna's best friend named Friederica Wilhelmine Waldeck but commonly known as Minna. 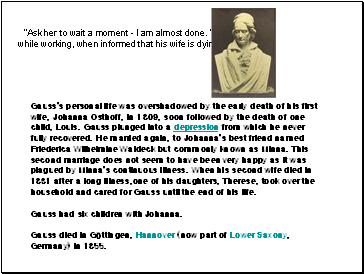 This second marriage does not seem to have been very happy as it was plagued by Minna's continuous illness. 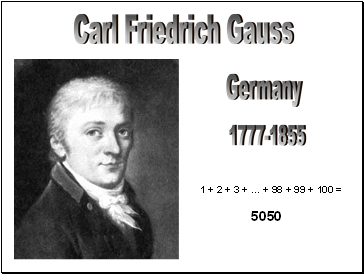 When his second wife died in 1831 after a long illness,one of his daughters, Therese, took over the household and cared for Gauss until the end of his life. 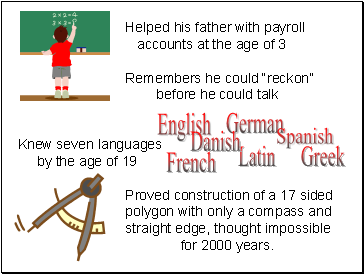 Gauss had six children with Johanna. 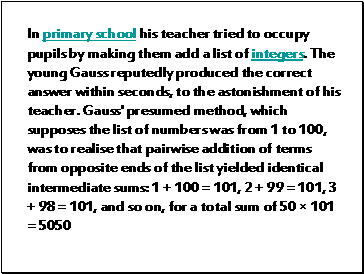 Gauss died in Göttingen, Hannover (now part of Lower Saxony, Germany) in 1855. 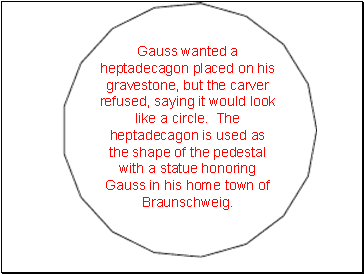 Gauss wanted a heptadecagon placed on his gravestone, but the carver refused, saying it would look like a circle. 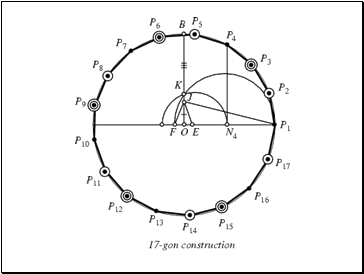 The heptadecagon is used as the shape of the pedestal with a statue honoring Gauss in his home town of Braunschweig.